It wouldn’t be another day with the Rover if I didn’t spill more fluids on the ground. This time it was coolant, due to me refitting and bleeding the cooling system. With the car running and the base timing dialed in, it was time to put the radiator back in and button up the cooling system. I couldn’t run the car for more than a couple of seconds without the radiator in, as the trans cooler is part of it and the transmission loves to pump its oil out everywhere. 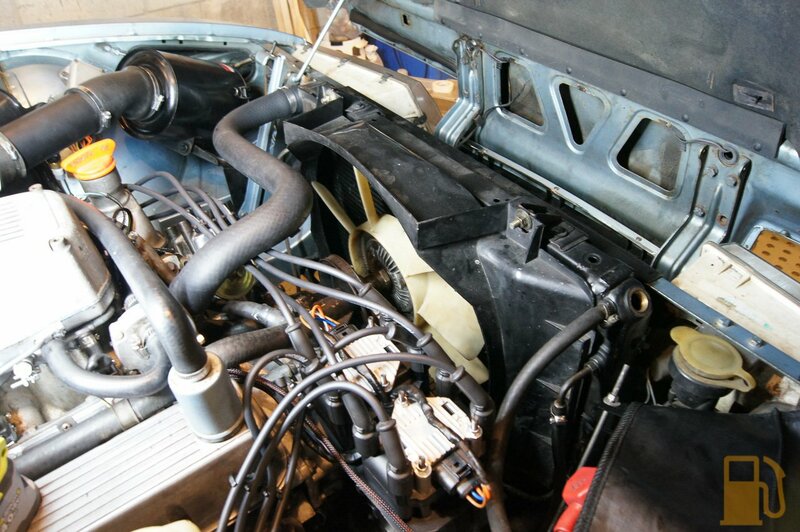 The radiator is nice and simple in the SD1. It sits in two little rubber mounting bushes on the lower support. One of mine was missing, so another was sourced via Gareth. 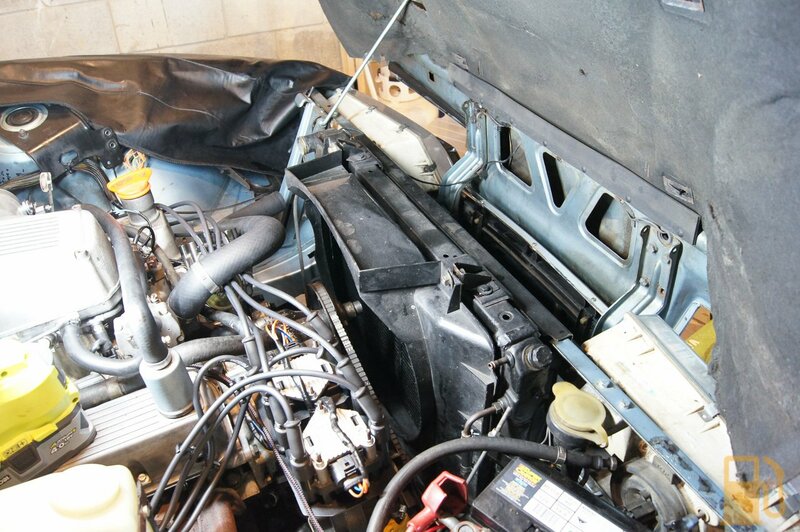 When you remove the radiator, its best to unbolt the two bolts that hold the top radiator support panel on and take it out with the radiator, rather than removing the radiator from that panel. This makes it very easy to reinstall. 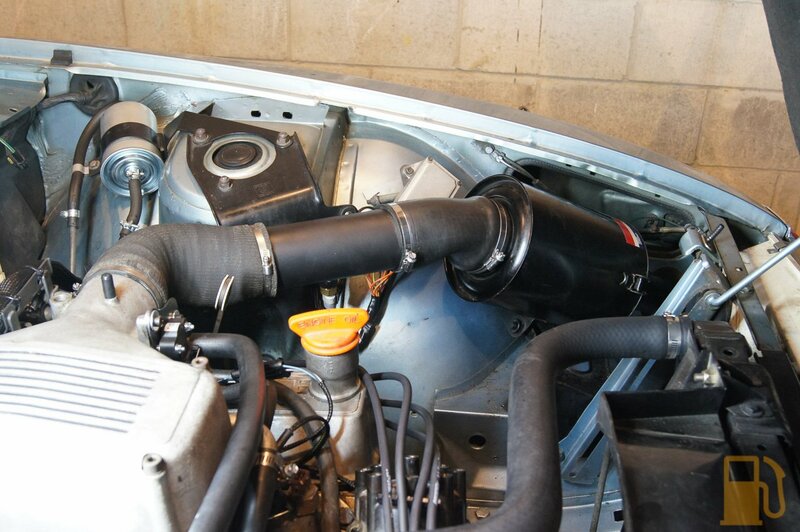 Todays lesson was that you can remove and install the radiator with the shroud installed. This gets around my gripe from when I removed it regarding the lower bolts not having captive nuts. Much easier to work with off the car. I also confirmed you can fit the fan between the unbolted top of the shroud and the radiator core in order to reinstall it. Sadly I had to stick with my incorrect fan and clutch as the replacement I purchased from a Range Rover (which apparently was the part number I needed) was actually too close to the radiator for me to install onto the end of the water pump. Looks like I’ll need to try source the correct coupling from an SD1, or maybe just change to a pair of electric fans (hey, good thing I ran that spare wire for the electric fan trigger in my new loom eh). With the radiator in I also decided it was time to install the intake again, just to keep things out of the engine when its running. 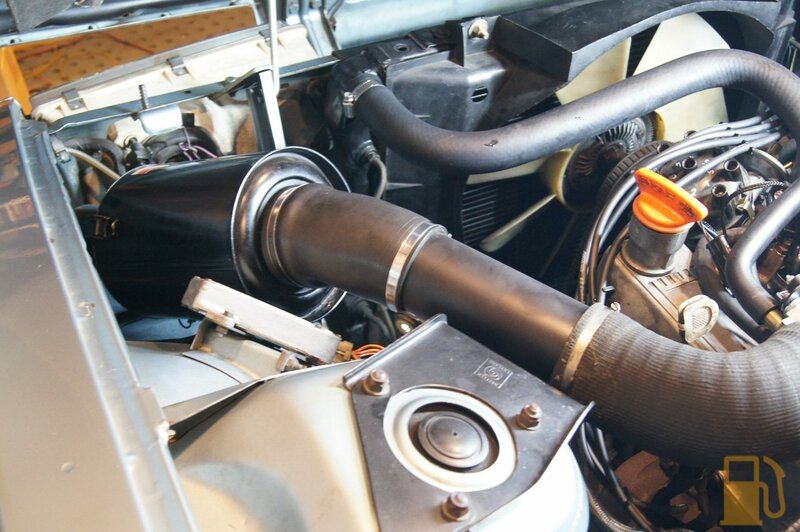 This consists of the original airbox and hoses, and a 2.75″ alloy pipe instead of the AFM. 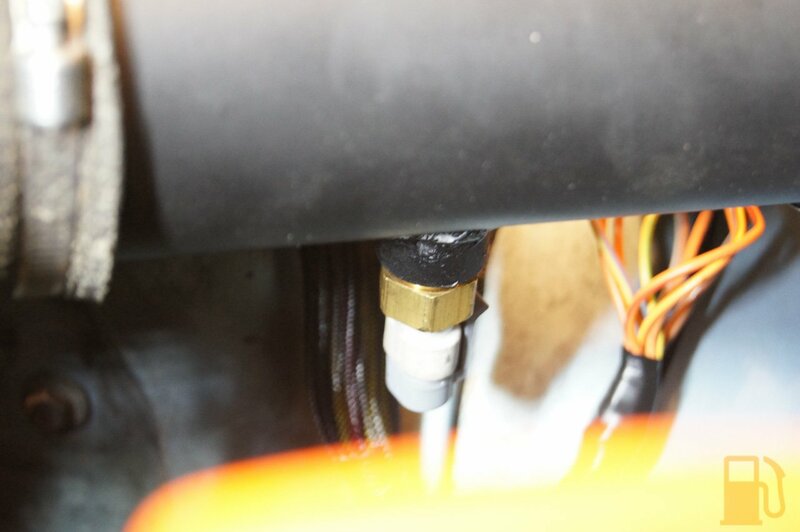 I have installed the air temp sensor into this pipe, to read the air as it goes into the engine. The sensor is hidden on the underside of the pipe. It all fits together as expected. I have been having issues with the ECU not priming/triggering the fuel pump. I primed it manually and that was enough to run the engine to test, but it would stall out and just didn’t have fuel pressure. With the help of the awesome guys on the Speeduino chat, we managed to probe the Arduino output pins and see which pin was “going high”, or turning on 5v, for the priming period I had set (for testing this was set to 15 seconds). Sure enough after some testing I found a pin that was acting like this, and when I connected the fuel pump trigger to this output, BAM, I had a priming and running fuel pump. Shits magic yo. Many thanks to PSIG for the help. I filled the radiator with coolant, and then fired the engine up. Its running rich, the idle is surging as kinda expected, and it doesn’t like to idle, but it runs pretty well and is responsive to throttle. Feels very strong already. I ran the engine up to temp, burnt all the oil and crap off the exhaust, smoked out the garage (shed bake yo), and bled as much air out as I could. I also noticed something resembling warm air from the heater. Not hot, but noticeably warm. It’s a good start. Bleeding the system did result in a fair bit more coolant on the ground, especially when it felt the need to geyser out of the radiator when the engine stalled. I’m taking a day off tomorrow, as I need a bit of a rest, but Friday I’ll be back into it. I need to drop the exhaust ASAP so I can get the bung for the O2 sensor welded into it, and then I can start the tuning. Before I can drive it though, I need to do some more wiring and actually mount the Speeduino in the case and onto the ECU board. So much more work to get done.